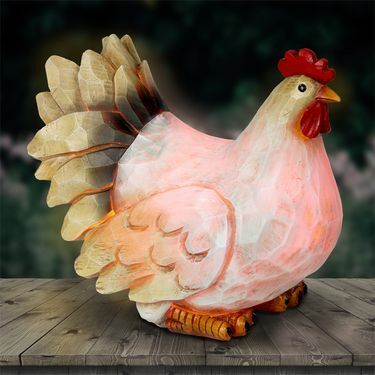 Illuminating Solar Hen Statue brings happiness, blessings and maternal love into your garden! A solar powered LED light will automatically glow at dusk highlighting the beautifully hand painted details of this garden art. Size: 10" x 6" x 8.75"H., approx. 3.5 lbs.